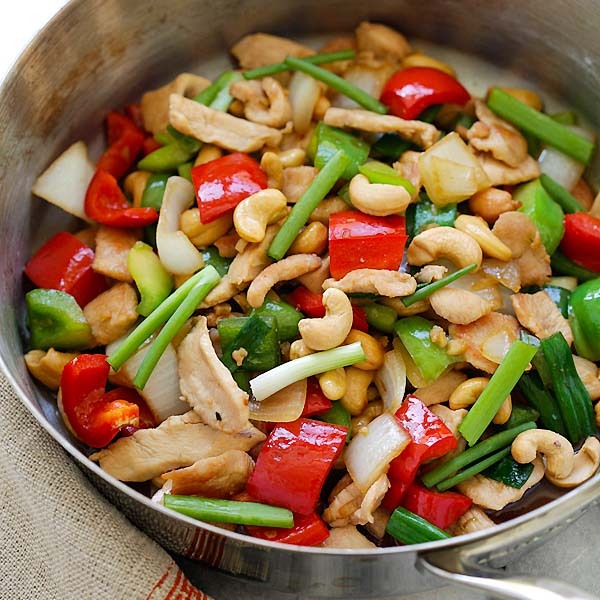 Thai Cashew Chicken - best Thai chicken stir-fry with cashew nuts and bell peppers. 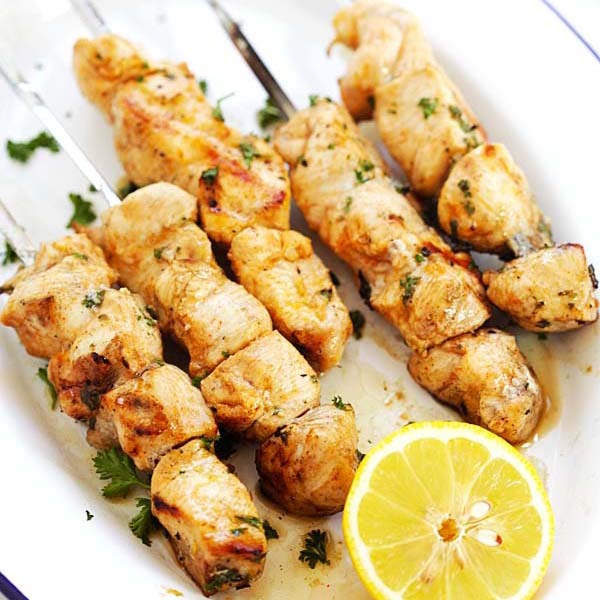 So easy to make, takes 20 mins and much better than restaurants! I love Thai cashew chicken and we have a favorite ones from our neighborhood’s Thai restaurant. We never miss out ordering this dish. Served with steamed white rice, Thai cashew chicken is so good that even picky eater little G likes it. 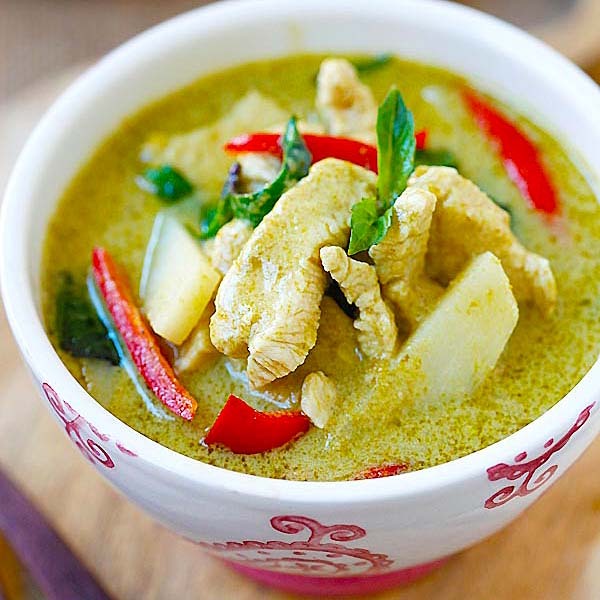 This Thai cashew chicken recipe is very easy and you don’t need a ton of “exotic” ingredients. All ingredients can be found at regular super markets. The only ingredient that is “ethnic” is fish sauce, which you can easily get from Whole Foods and bigger food stores these days. 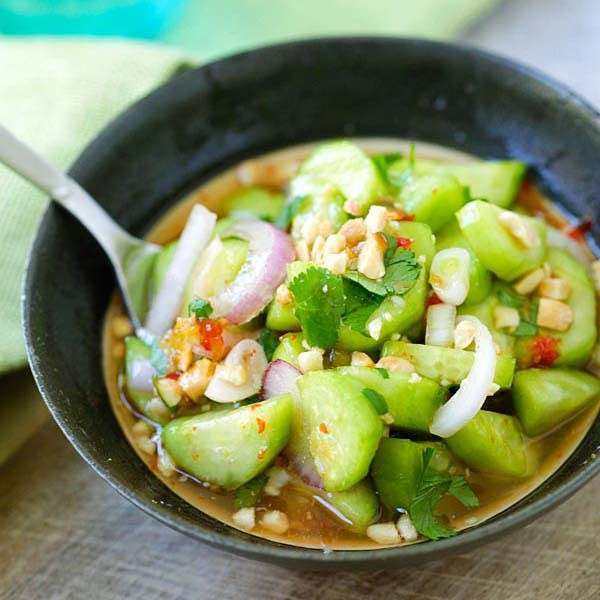 You can’t make authentic Thai recipes without using fish sauce. 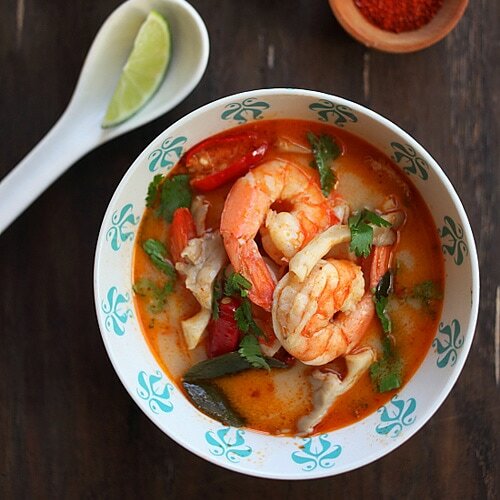 The smell might be pungent but it adds so much flavors to Thai (and Vietnamese) dishes. 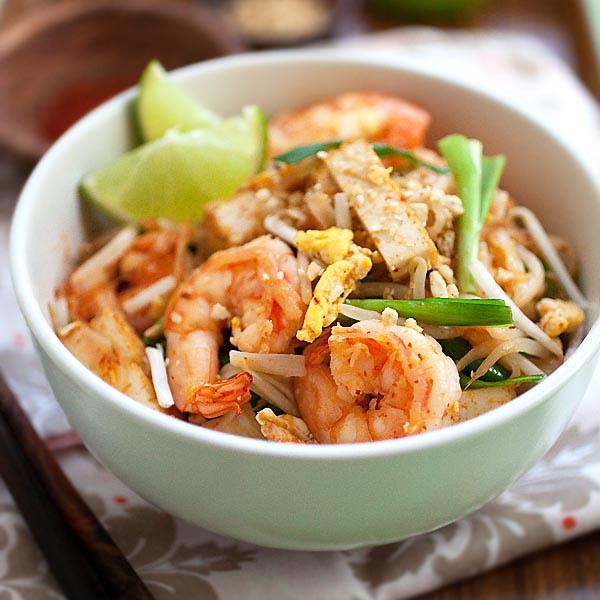 Try my recipe and I can assure you that it’s better than your favorite Thai restaurants. Thai Cashew Chicken - best Thai chicken stir-fry with cashew nuts and bell peppers. So easy to make, takes 20 mins and much better than restaurants. Mix all the ingredients in the Sauce together. Make sure the sugar is completely dissolved. Set aside. Heat up a skillet with the oil on high heat. When the skillet is heated, add the chicken and cook until both sides turn slightly brown. Push the chicken to one side of the skillet and make sure that the other side has the oil. Add the garlic and onion and saute for 30 seconds. Add the bell peppers and cashew nuts. Toss and stir fry with the chicken before adding the Sauce. Add the scallion, stir to combine well. Turn off the heat and serve immediately with steamed rice. All photos and recipes on Rasa Malaysia are copyright protected. Please do not use the photos and recipes without prior written permission. If you wish to republish this recipe, please rewrite the recipe in your own words instead of copy and paste and link back to //rasamalaysia.com/thai-cashew-chicken/. Thank you very much! This looks rather Chinese, where’s the Thai part? I can’t wait to try this. It looks fairly simple to make. Thank you for posting. Cooked this last night and it was superb. Am always suspicious of too much sugar but decided to follow the recipe exactly and it was great. So easy to make I am going to include it in my recipe book for when I go away in my caravan. Yes thanks and just link back to me. Thank you for sharing. I had leftover red and green peppers and wanted a healthy recipe to try. Quick, easy to follow recipe. Great flavor. It was my first time using fish sauce. Thanks Rasa for sharing. I’ve just cooked this chicken and it’s absolutely beautiful. It tastes like the cashew chicken I had in Thailand. I have added some button mushrooms. I can recommend this fantastic recipe to everyone. I updated the pictures: https://rasamalaysia.com/cashew-chicken/. The baking soda trick is in the Cook’s Note. 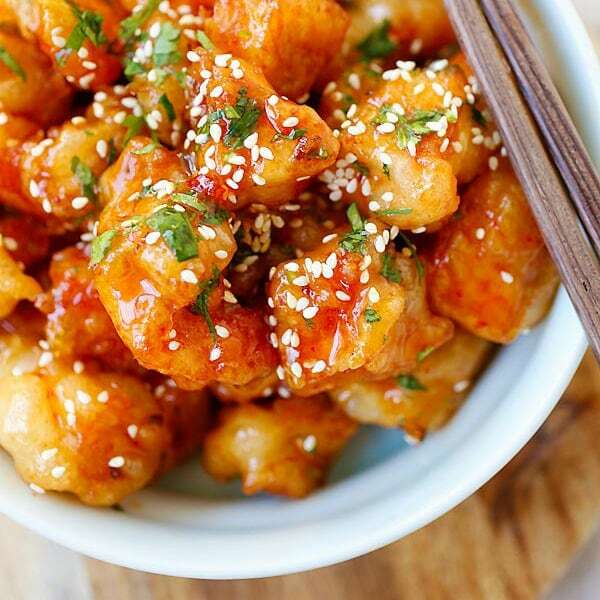 Oh my goodness, with the combination of soy sauce & fish sauce, it’s easy to make this too salty. I’m sensitive to salt & sugar, but forgot how salty fish sauce is & added too much. The aroma & taste of this dish is rhapsodic, but next time I’m using low-sodium soy sauce.